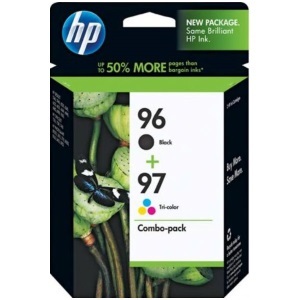 Genuine OEM HP Ink Cartridge Bundle Pack, 860 (Black), 560 (Color) page yield. Bundle pack includes: one black (HP 96), one tricolor (HP 97) ink cartridge. HP part number: C9353FN, C9353FN#140.